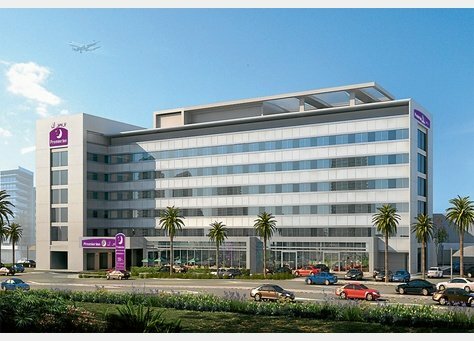 A new Premier Inn hotel has opened at Abu Dhabi Airport and promises views of aircraft movements from both rooms and the rooftop terrace. The new hotel is linked to Terminals 1 and 3 at the airport by the Skypark retail corridor. Although I haven’t stayed there yet, the hotel confirms that some rooms have views of aircraft movements, and can be reserved if you leave a note with your booking or call ahead of your stay. The hotel also boasts a rooftop terrace with pool and loungers. 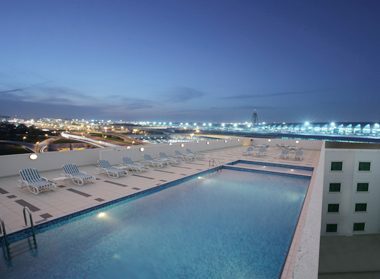 This also offers spectacular views all around, and over the airport (similar to the Sheraton Deira in Dubai). As always, discretion is advised when using binoculars, poles and cameras around airports in the UAE as police can be less tolerant of this. Make sure you check it is ok with hotel staff when using the rooftop terrace. If you have stayed there, why not comment below with your findings or details of the best rooms with views! In a place where hotel rooms can cost a fortune, this hotel was perfectly located for the Exhibition Centre, centrally located for the city, the airport and attractions, cab fares were rarely more than 50AED and the room was good, room service was available, the gym and pool were perfectly adequate and the price was amazing. My girlfriend and I have just returned from Abu Dhabi and stayed at the Premier Inn. The rooms were good, comfortable and clean. 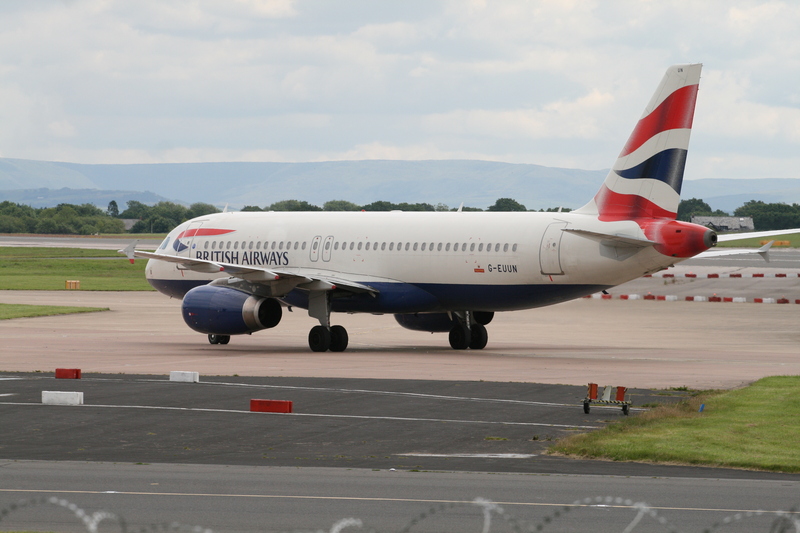 We asked for an airport facing room on 5th Floor and were allocated 518 which has views over the runways and taxiway (although the view is slightly restricted by various airport buildings the use of tracking apps/software should help to tie up movements). The food is good and the hotel has a nice bar where the tv is usually set to sports channels. The view from the roof top pool is very good, everything can be seen landing or will taxi past and, over the couple of days we were there, we made quite a dent in the Etihad fleet. The only downside of the pool is that photography is prohibited but the use of binos and telescopes was fine with no problems encountered (the pool staff are quite used to spotters! ).The pool has decent shade and free bottled water available and is open from 7am to 10pm. Staff are very friendly and extremely helpful. All in all an excellent spotting hotel, certainly recommended. Thanks for your very helpful update, Tony! Pool staff at the Premier Inn also do not let you use telescopes now. I was there on Monday 4th May from 10am until 9pm and was told no! Just thought I’d give you all a heads up. Premier Inn hotel at AUH offers guests an inviting mix of comfortable hotel rooms, convenient business services and enviable leisure facilities. Each of the hotel rooms is equipped with free internet access, and you can relax at our swimming pool or workout in the gym.